Victor Stiff is a Toronto-based, Tomatometer-approved film critic and pop culture writer . Over the years Victor has covered the Toronto International Film Festival, Hot Docs, Toronto After Dark, Fantasia, New York Asian Film Festival, Toronto ComiCon, and Fan Expo Canada. You can find his reviews, interviews, and essays at In The Seats, Film School Rejects, The Playlist, Pop Matters, Screen Rant and Sordid Cinema. After Interview: What’s on Anna Todd, Josephine Langford, and Hero Fiennes Tiffin’s Shelves? The Queen is here! Tune in tomorrow night during #GameOfThrones when the one and only @Margaery_Tyrell takes over @ThatShelf once again for our LIVE-TWEET of episode two! Winter has come, the White Walkers are on the move, and Bran is staring at everybody in the season premiere of #GameofThrones, an episode marked by reunions, first meetings, and a portentous theme! Cinema's most sinister toy doll is back and racking up a high body count. 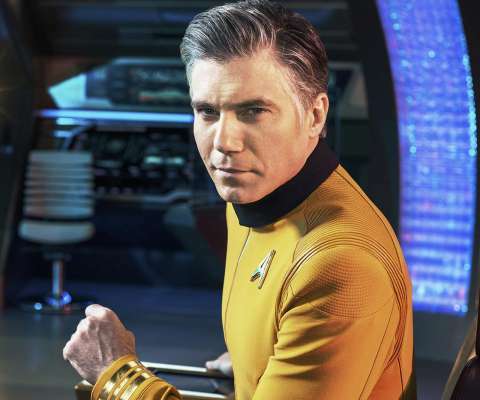 Star Trek: Discovery 's preview of Captain Pike’s fate suggests the forward-looking franchise sees no future for disabled people.